Bye bye thirsty, dry hair. Hello touchably soft locks courtesy of our formula accented with Australian Aloe. Accented with natural Australian Aloe and Jojoba Oil (that's ho-HO-buh-oyl). 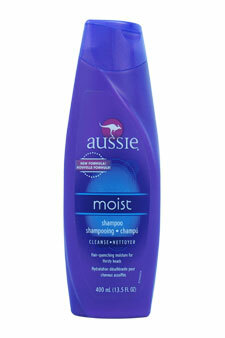 Aussie Mega Moist Shampoo - 13.5 oz.